Florida International University (FIU) is seeking a business partner to develop and commercialize Devices and Methods for the Colorimetric Detection of Electron Donors such as dihydronicotinamide adenine dinucleotide (NADH) and dihydronicotinamide adenine dinucleotide phosphate (NADPH). 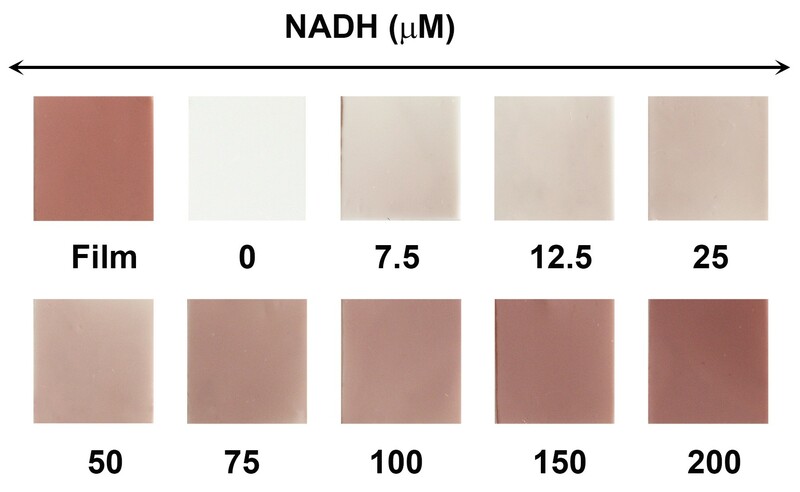 NAD(P)H and its oxidized form, NAD(P) + are ubiquitous biomolecules associated with cellular energy metabolism in both eukaryotic and prokaryotic organisms. It has been reported that the NAD(P)+/NAD(P)H couples are essential cofactors for more than 300 dehydrogenases. Increased activity of dehydrogenases, such as aldehyde dehydrogenases, has been reported in various human cancers and has been found to interfere with certain chemotherapeutic treatments. Several dehydrogenase inhibitors have been developed for the treatment of human diseases as well as applications in alcohol dependence, cocaine addiction, anxiety, and as resensitizing agents for cancers. 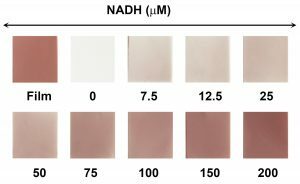 Traditionally, colorimetric detection of NADH is based on the growth of gold nanoparticles, which requires a large sample volume, a longer reaction time, as well as sophisticated analytical instruments to confirm detection efficacy. In addition, it is hard to achieve a low detection limit due to the interference arising from background absorbance. FIU inventors have developed diagnostic devices and methods that require less sample volume and easier method of fabrication, while maintaining the sensitivity for detecting analytes critical for biological activities in various applications. 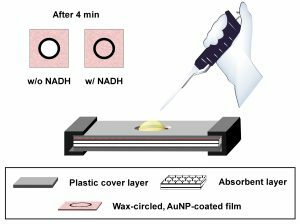 These devices include a paper-based sensor that takes advantage of the NADH-inhibited dissolution of gold nanoparticles to significantly reduce the background and thereby lower the detection limit. The sensor surface-confined testing zone minimizes sample volume, and capillary force-assisted vertical diffusion improves the efficiency of mass transportation. 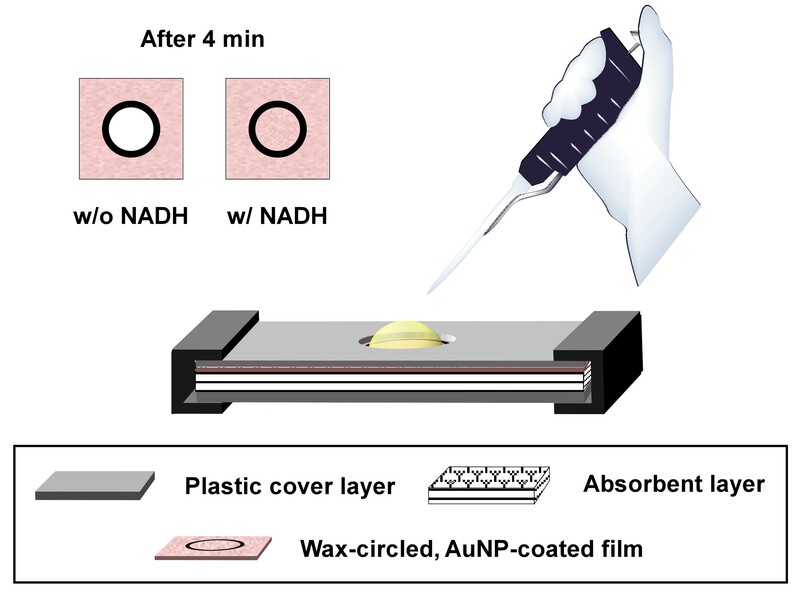 As a result, the sensor requires only 4 minutes at room temperature to analyze a 25 μL sample with a detection limit of 12.5 μM NADH by naked-eye examination.